Track times are not listed on the record. I wasn't crazy about this EP when I first spun it, but I have to say it's growing on me. The vocal samples are a little bizarre and they don't quite mesh with the music like some of Luke's earlier work (especially on Lover's Acid and Yoseph). The bassline on "Sidthug" is no less than infectious, though, and the samples from Psycho (the film) on the track "Psycho" are great. 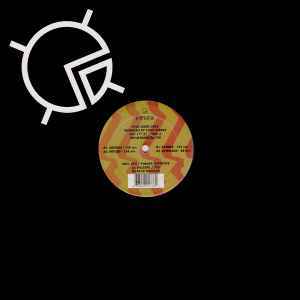 All 4 tracks have a pretty strong dance groove, which is to be expected from Luke Vibert. Overall, this is definitely not his best release, but this might be Vibert's most unique set of tracks in a while. This EP certainly gets better with each listen, though it might be hard for fans of traditional Vibert to get into at first.